You can find this 2019 Mercedes-Benz C-Class C 300 and many others like it at Mercedes-Benz Of Honolulu. This Mercedes-Benz includes: PARKING ASSISTANCE PACKAGE Automatic Parking Back-Up Camera PREMIUM PACKAGE HD Radio Satellite Radio Premium Sound System Power Folding Mirrors *Note - For third party subscriptions or services, please contact the dealer for more information. * The Mercedes-Benz C-Class C 300 is a well-built, yet compact and enjoyable ride that is unmatched by any other convertible on the road. With the ability to easily switch between having the top up or down, you'll be able to go about your weekday routine without feeling like you've sacrificed the weekend thrills. You deserve a vehicle designed for higher expectations. This Mercedes-Benz C-Class delivers with a luxurious, well-appointed interior and world-class engineering. This is about the time when you're saying it is too good to be true, and let us be the one's to tell you, it is absolutely true. This outstanding example of a 2019 Mercedes-Benz C-Class AMG C 63 is offered by Mercedes-Benz Of Honolulu. This Mercedes-Benz includes: PARKING ASSISTANCE PACKAGE Automatic Parking Back-Up Camera AMG NIGHT PACKAGE *Note - For third party subscriptions or services, please contact the dealer for more information. * Let a little sunshine in. Just drop the top of this Mercedes-Benz C-Class convertible and go. You appreciate the finer things in life, the vehicle you drive should not be the exception. Style, performance, sophistication is in a class of its own with this stunning Mercedes-Benz C-Class. Beautiful color combination with Iridium Silver Metallic exterior over Black interior making this the one to own! 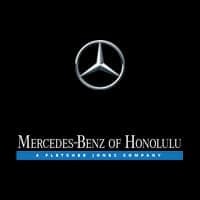 Mercedes-Benz Of Honolulu is excited to offer this 2019 Mercedes-Benz C-Class. This Mercedes-Benz includes: PARKING ASSISTANCE PACKAGE Automatic Parking Back-Up Camera AMG NIGHT PACKAGE *Note - For third party subscriptions or services, please contact the dealer for more information. * This Mercedes-Benz C-Class features something for all that like fun drive -- It's a convertible! Today's luxury vehicle is not just about opulence. It's about a perfect balance of performance, comfort and attention to detail. This 2019 Mercedes-Benz C-Class is the perfect example of the modern luxury. Just what you've been looking for. With quality in mind, this vehicle is the perfect addition to take home.